Leki and I snuggled a little this morning. It was only the 3rd time since Quinn came home that he's actually cuddled with me, which is barely anything compared to pre-baby. 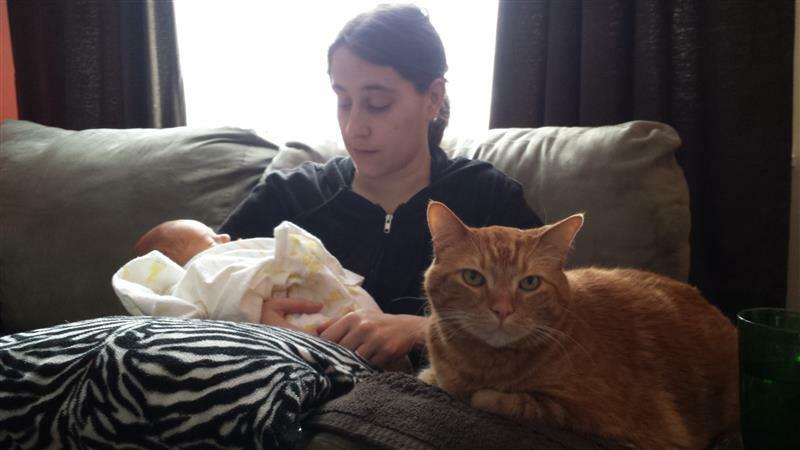 So when Quinn came along for some food and snuggles, Leki didn't want to give up his spot. So he sat for a little bit on the arm of the couch. Eventually he ran off, knocking a glass of apple juice over in the process. Sigh.